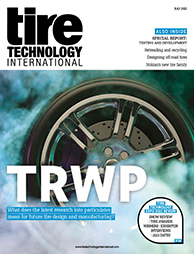 Visitors to Tire Technology Expo 2019 will be able to see HF Group’s latest R&D development – a new benchmark in truck tire production. The new truck tire curing press is as reliable and stable as its forerunner, but shows major improvements in terms of space saving, offering the potential for higher production levels. The new press runs on lower hydraulic pressures, which enable longer life and low energy consumption. HF also offers customized modules to adjust to customers’ specifications and individual needs. Those interested in finding out more about the new press should head to the HF stand, where a video of the new technology will be available.